Toys and kits for girls 11-13 years old are differentpracticality, they may be used not only to play with dolls, but also in everyday life, more than that, they will be able to influence the choice of profession your daughter, so parents are advised to carefully deal with the choice of what to play their child. 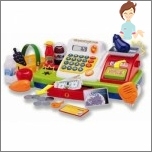 Children's toys for girls - it's a big world in which there are rules, orders and laws. Goldsmith - a popular toy for princesses. This is a great machine for the manufacture of jewelry. 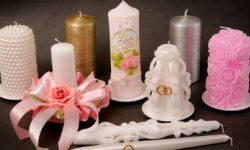 With the help of a miracle - the machine your little girl will be able to quickly create chains, rings and bracelets - The most elegant and delicate. 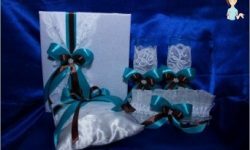 Approximate the price of the set: 1400-1600 rubles. Suitcase for girls young lady of 11 years old. This suitcase is all that may be necessary to a lady! Mirror, hair curlers, comb, color rezinochki, beads, gum with a flower, Two ringlet, kulonchik Butterfly and much more. Approximate price suitcase 1600-1800 rubles. For cheerful fidgets - ball "Ogosport". This is standard for ball games in Ogosport - A unique game for a wide range of people! The innovative development of American Scientists - sports game "Ogosport" - a simple but at the same time very exciting. Your daughter will be able to get unlimited freedom of action, because it will be able to play even the most huge company in a small area. This game can intrigue everyone, even the most sophisticated girl. Approximate Ball price: 200-600 rubles. "Twister Rings" for young athletes 11-13 years. "Twister Rings" may well be suitable for street girls games with them in the yard can make a great sport competitions. But you can also have fun playing with them at the party. This game is a mobile and dynamic, funny and cheerful. And some of its options are great for adult parties. 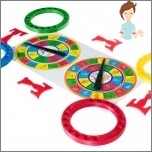 Approximate Games Price: 1000-1400 rubles. Glowing Ses rods for your little traveler. Glowing bars Ses - it's a greattoy for young adventurers. This kit will help girls make their game more realistic. Buying glowing rods Ses, you will be able to give her daughter the opportunity to feel this adventurer. Approximate rods price: 300-500 rubles. Funny pet for girls 11-13 years - Puppy with wonderful pencil. This puppy on belly and heels can be draw wonderful pencil. You only need to gently hold them pressedon the tip. Immediately glowing picture appears on the tummy or ears! During the day these cute little animals look quite ordinary, and in the evening they turn into wonderful toys. "Magic" begins to draw a pencil like a "ray of moonlight." Heels and belly puppy made from a special fabric with a special coating that when touched luminous pencil provides the fluorescence effect. Approximate puppy price: 700-1000 rubles. Interactive cat "Cherry" for caring hostess. Cherry is able to blinking eyes, wiggle its tail and ears. And hum and purrAs "real" cat! Great ginger being perfectly 'knows' what he wants, and really need care and love. It is necessary to comb her hair brush or a special pet back, and Cherry gratefully begin to swing the tail, and will be quite hum. If you scratch your neck Cherry, she's pretty and gently zaurchit. After a long game or sweet dreams, charming kitty Cherry hungry! Then it is necessary to feed the special biscuits in the shape of a fish. Approximate Price cat: 3800-4000 rubles. Young geeks - Designer puzzle "Labyrinth". This is a great simulator for the development of the volume of thinking and logic. 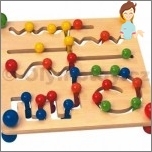 The aim of this game is the creation of a specific design, using parts of different functions, so that nothing prevented the movement of the balls. Classes with such a constructor contribute develop fine motor girls, as well as her memory and creative thinking. This game is recommended for children from 10 years. Approximate Designer price: 300-600 rubles. A set of "Supermarket" for inquisitive girl of 11 years. This themed suite with a sound effect for the plot-role-playing games in the store. The scanner to read the bar codes goods at the box office can work with sound. On LCD cash the purchase of goods will be displayed the correct amount. You can pay credit cardsFor it at the cash register has a special slot. To withdraw funds to purchase, your daughter should hold the payment card on the reader. 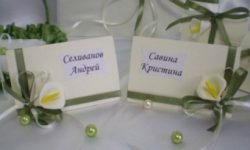 Approximate Price set: 1200-1400 rubles. Funny friend for a charming girl - Squirrel Dance. This beautiful squirrel dance can sing a great song to the owner. And she knows how to dance funny, moving with the tail and head. This toy is a touch. Approximate squirrels price: 600-800 rubles.